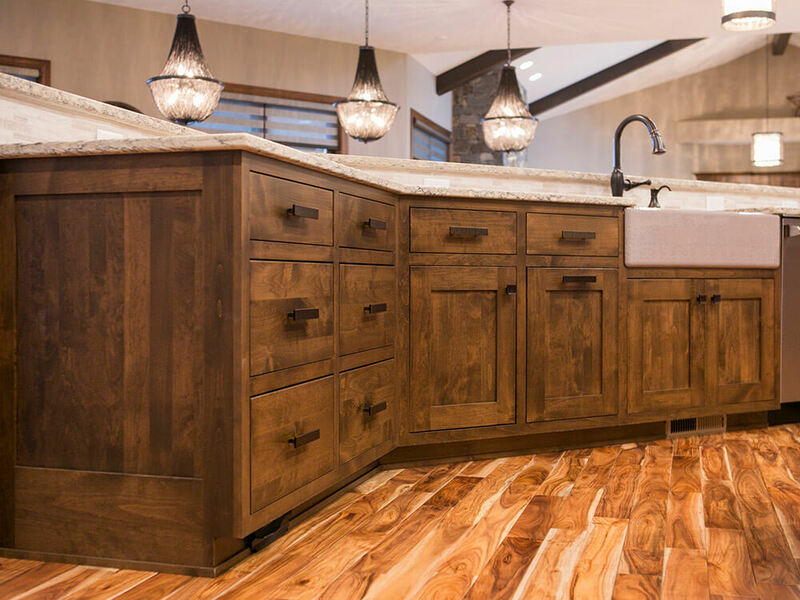 This spacious ranch home was built for a newly retired couple. 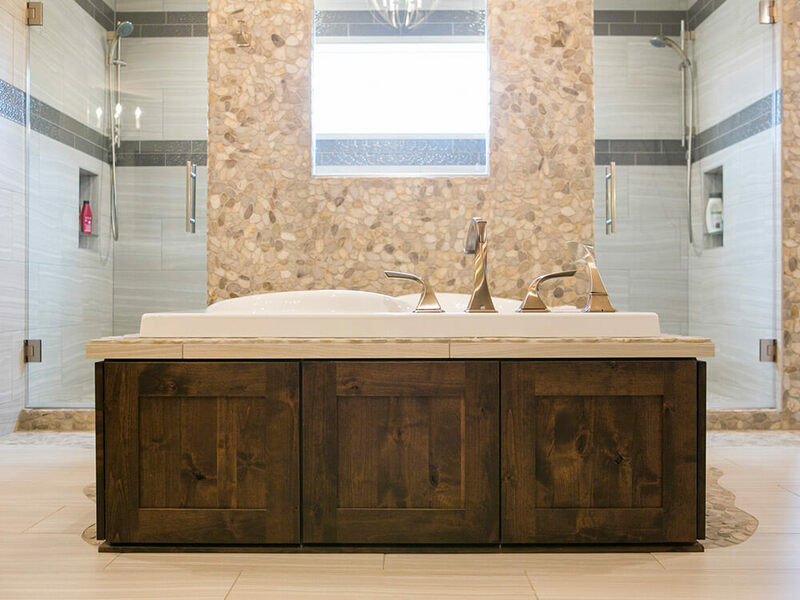 The homeowners were looking for a custom home, designed for entertaining and for hosting family and friends in both comfort and style. 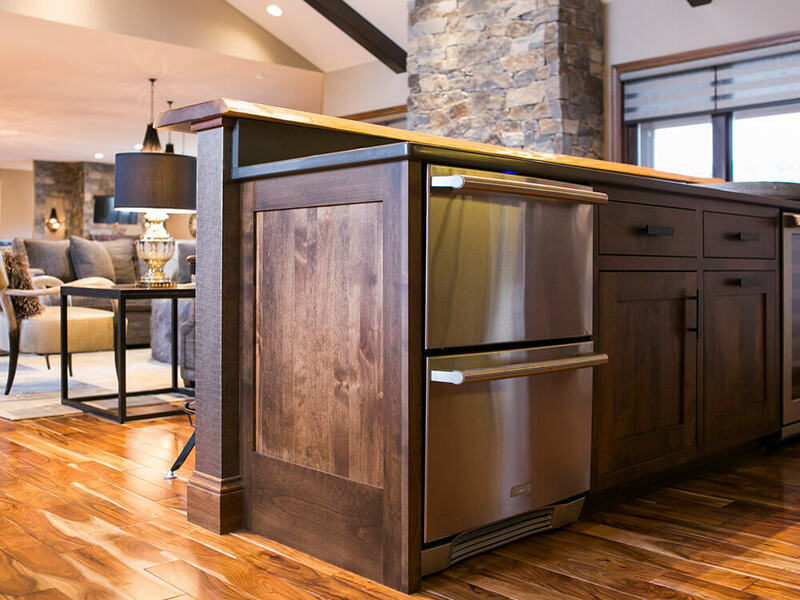 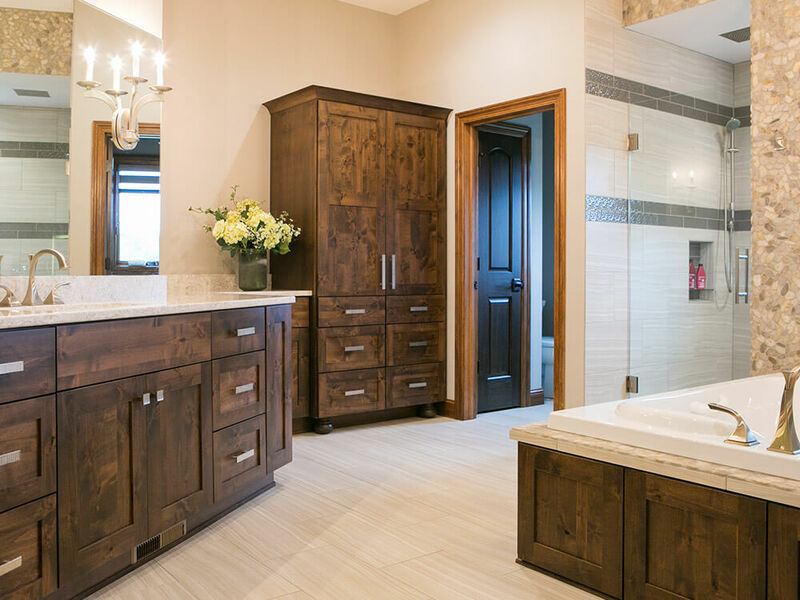 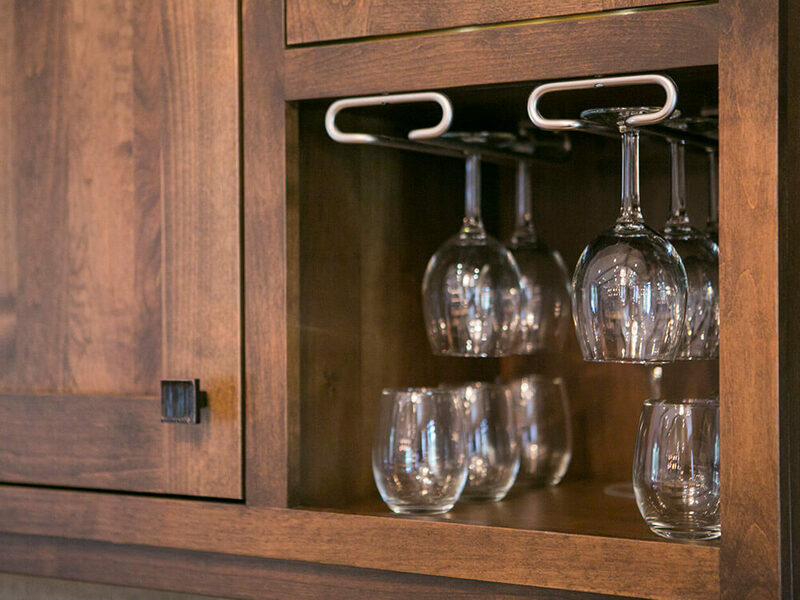 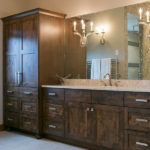 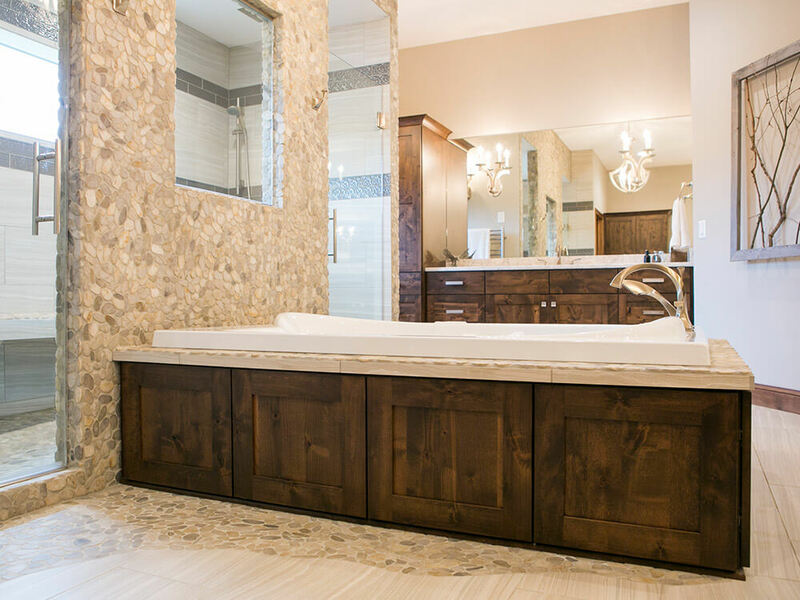 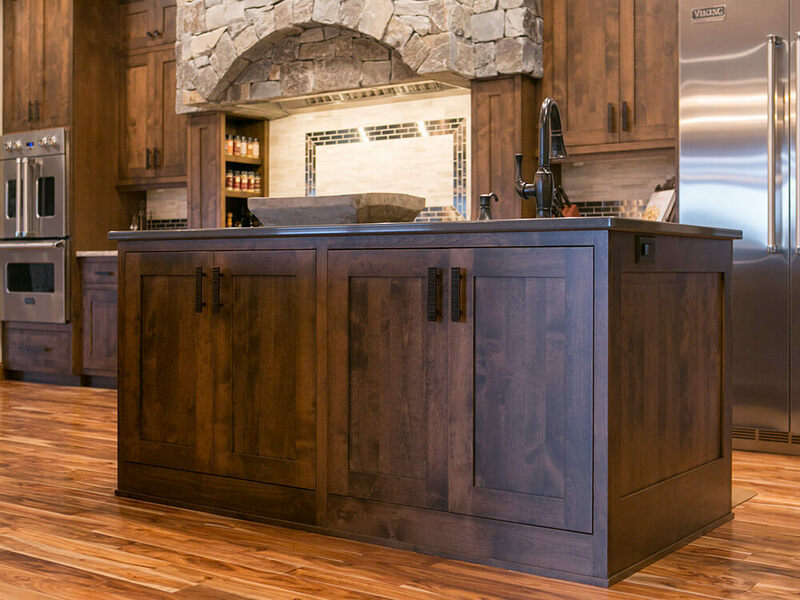 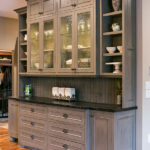 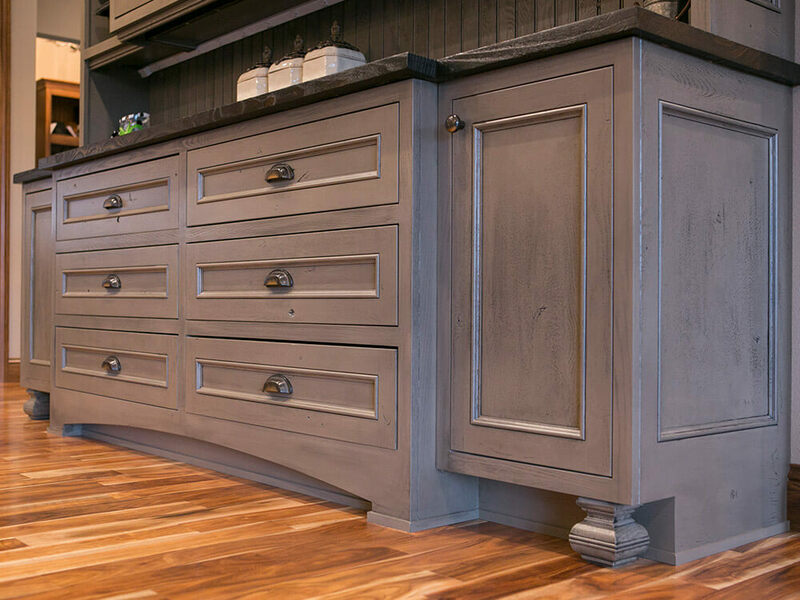 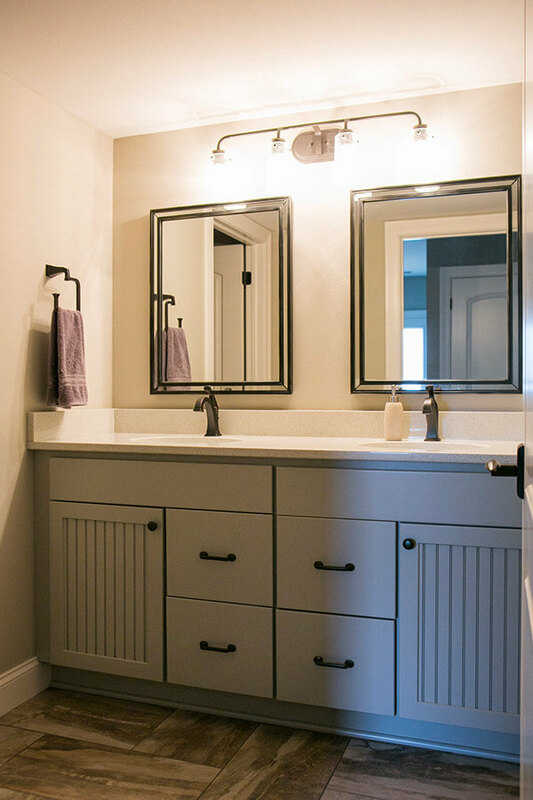 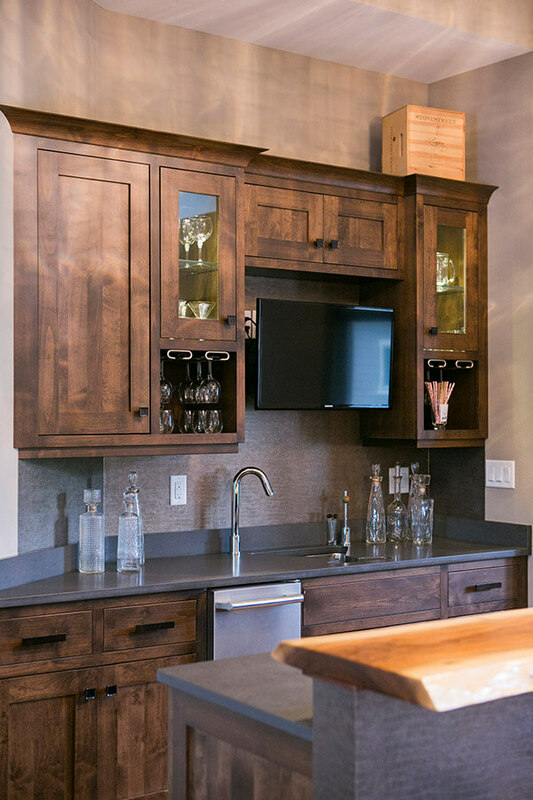 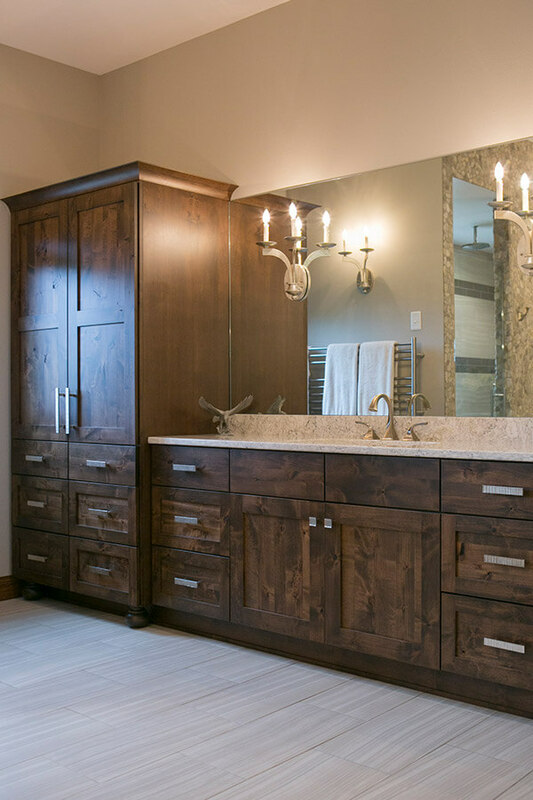 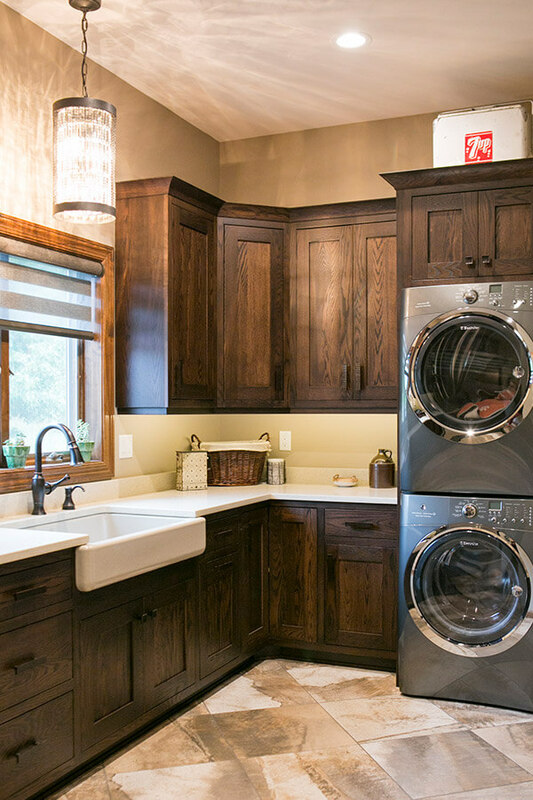 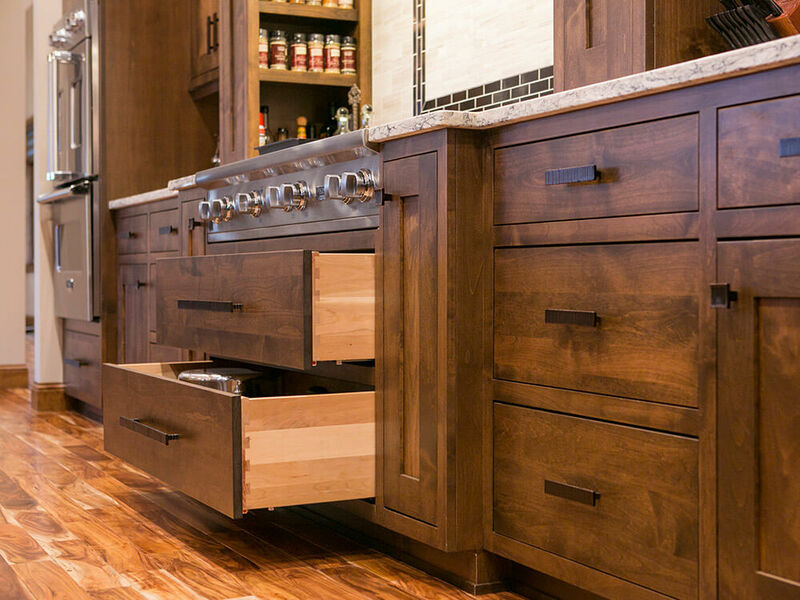 Rich alder stained cabinetry was chosen and fit perfectly with their rustic modern furniture and accessories. 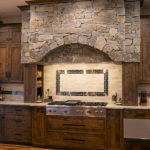 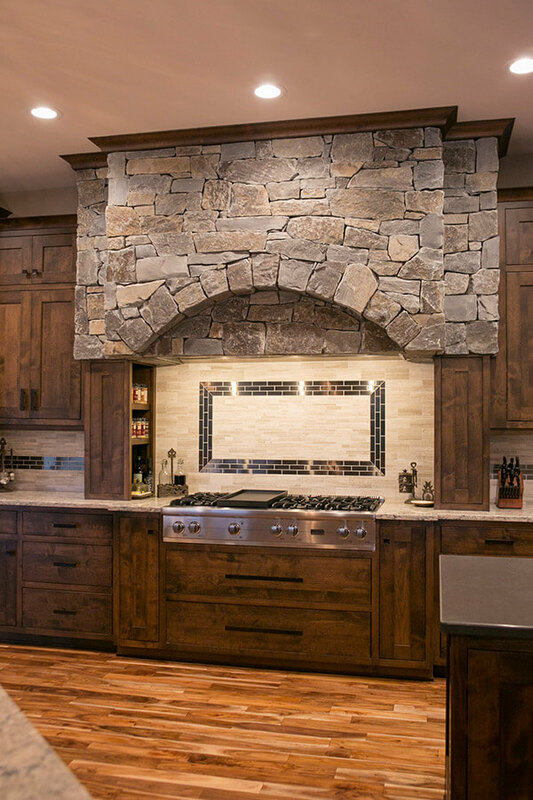 The kitchen’s focal point is a dynamic stone mantel with a professional style rangetop and cooking area. 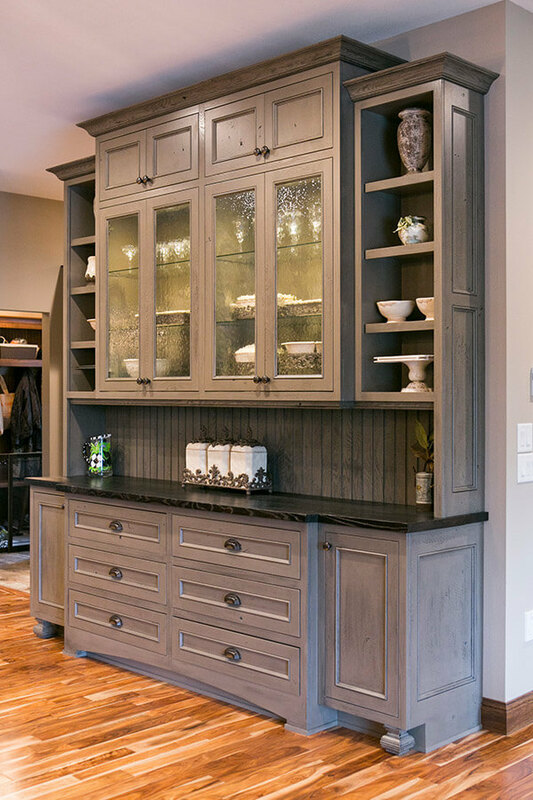 Two islands were added for prep and casual dining, along with a beautiful furniture buffet piece to store treasured serving pieces. 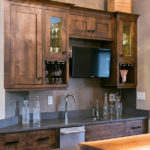 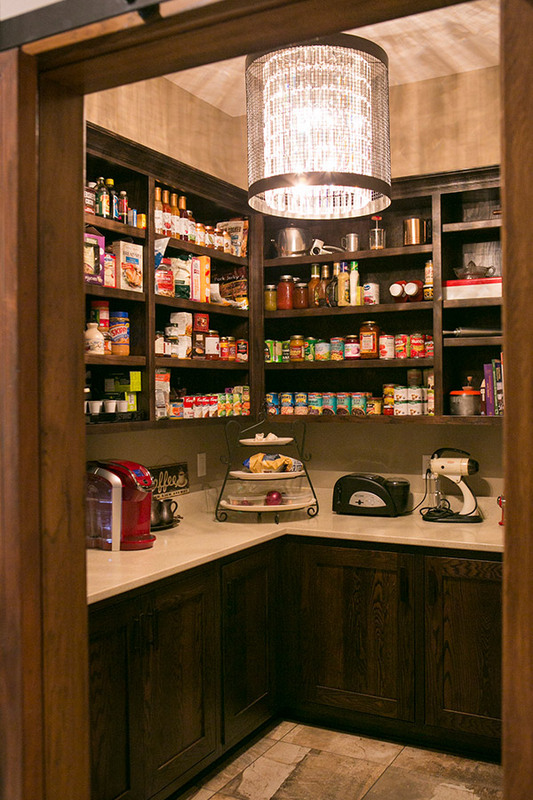 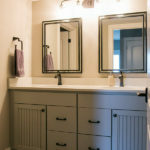 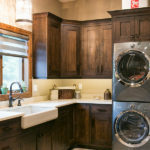 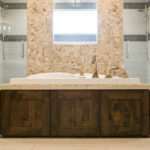 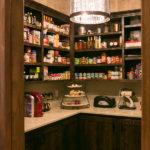 Custom cabinetry was also used to create unique spaces for the wet bar, master bathroom, pantry, laundry areas, and a mother-in-law suite.